Sunlight and landscaping go hand-in-hand. 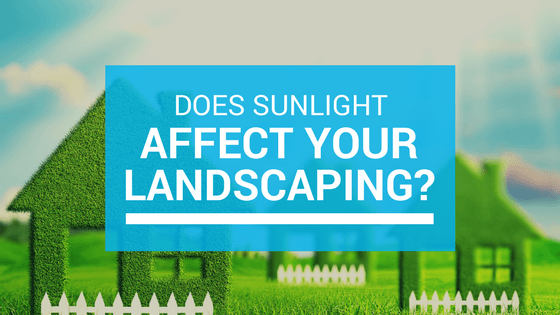 Your plants need the sun, but they can also provide energy-saving benefits to your home. Here in Florida, your landscaping’s most important energy-saving benefit is that it keeps your home cooler during summer, and provides shade for outdoor activities. At your local nursery, you will probably see plants listed as ‘part-shade,’ or ‘full sun.’ for the most part, there is no such thing as ‘full shade’ in Florida. And, during summer,and without proper watering, full sun can wreak havoc on all but the most hardy plants. Look for plants labeled ‘heat tolerant’ or ‘drought tolerant’ for best results in very sunny areas. Full Sun – These plants require at least 6 hours of direct sun daily. Part Sun – These plants do best when they receive between 3-6 hours of direct sun each day. Part Shade – Similar to above in 3-6 hours of direct sun daily, but requiring protection from mid-day sun. Full Shade – These plants need less than 3 hours of direct sun each day. The sun changes its course throughout the year. What may be full shade in winter becomes part sun in summer, as the sun is lower in the sky during winter, and higher in the summer. These patterns should be considered in planting new landscaping. In addition to this, if you are considering adding paved surfaces like driveways, patios or decks, keep in mind that these surfaces will retain and reflect the heat from the sun, increasing the temperature in and around your home. Soft surfaces, like grass and plants, better absorb the heat. While planting leafy trees to shade your home and hard surfaces provides a nominal energy savings of maybe a couple hundred dollars each year, they may greatly increase your enjoyment of the outdoors by extending the time you spend outside. Your local nursery or landscape contractor – like Westcoast Landscape and Lawns – can help guide you in making the right choices for your yard and your needs.